Gagan Choudhary FGA is the Deputy Director (Technical and Training) and in-charge of the Gem Testing Laboratory, Jaipur, India. He handles various activities of the laboratory which includes certification, research and other managerial operations. A Graduate in Commerce and without any prior knowledge and background in gemstones, in 1999, Gagan joined the Diploma Course in Gem Identification at the Gem Testing Laboratory, Jaipur, while pursuing Chartered Accountancy. However, he was awarded with the “Student of the Year” for proficiency in Practical. This gave him a new direction into the world of gemstones and since then there was no looking back....the world of gemstones and their inclusions were much more fascinating than the tricky numbers, calculations and taxes! Subsequently, he joined the Masters’ Diploma in Gem Identification being conducted by the same centre and worked extensively on a project on corundum identification, under the guidance of highly acclaimed gemmologist in the country, Shyamala Fernandes. The course was extremely strenuous but it gave him the incentive of enjoying the challenges of gem identification and its many techniques. Later, Gagan went on to complete the Diploma in Gemmology from Gemmological Association of Great Britain and was selected as the Fellow (FGA). In August 2010, he undertook the Scientific Gemmology Course from Swiss Gemmological Institute - SSEF, Basel, Switzerland. Gagan joined Gem Testing Laboratory, Jaipur in February 2001 as Assistant Research Gemmologist and was involved in the preparation of an extensive database of gemstone spectra on the FTIR spectrometer as a part timer. Working on spectra and their interpretation for almost six months, pulled him deeper into gemmology and he joined the laboratory on regular basis as Assistant Gemmologist, where in addition to testing and research, he used to take gemmology classes as well. In June 2003, he was designated as Assistant Director (Technical & Training) and then in May 2008, he was handed over the charge of the laboratory. During all these years at the laboratory, he along with Shyamala Fernandes prepared the laboratory and course manuals as standards, for use in certification and educational activities of the centre. In addition, he has been involved in developing the methods of identification of treated and synthetic stones such as quartz, corundum, emerald, etc. 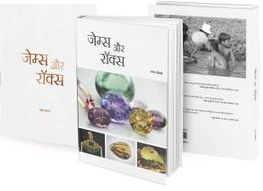 Co-author of the book, 'Understanding Rough Gemstones' with Shyamala Fernandes, Gagan has authored and co-authored numerous gem related articles over the years which have been published in various trade and gemmological magazines like Gems & Gemology (Gemological Institute of America), Gems & Jewellery (Gemmological Association of Great Britain), The Journal of Gemmology (Gemmological Association of Great Britain), The Australian Gemmologist (Gemmological Association of Australia), Journal of Gems & Gemology (China), Gem World, etc. In addition, he has also attended, prepared and presented many papers in national and international gemmological conferences like Indian Gemmological Seminars (various editions), International Coloured Stone Association (Jaipur, 2003), Gemstone Industry and Laboratory Committee (GILC), Bangkok 2004, GIA Symposium 2011, GIT 2008, 2012, 2014, IGC 2013, 2015, etc. 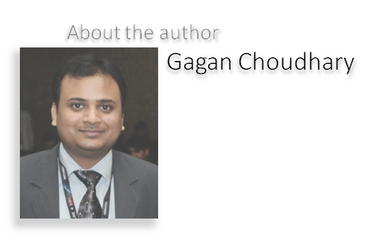 Gagan has held position as a member of the advisory committee of the GIA Symposiums - 2009 (later called off) and 2011. He is also serving as co-editor of Gem News International section of GIA's Gems & Gemology journal. He undertook the daunting task (along with K.T. Ramchandran of GII, Mumbai) of identification and certification of endless gems in as many jewels of Lord Venkateshwara (widely known as Tirupati Balaji - one of the richest deities of the world)..... an experience to relish for the life time.